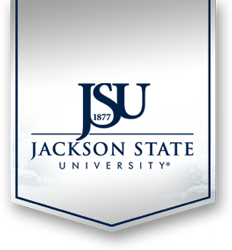 The Mississippi Science Partnership (MSP) is a novel collaboration established in 1990 among the Mississippi Department of Education, Jackson State University (JSU), and Hughes Aircraft Corporation. By maximizing the assets of a state school system, a state university with a profound dedication to urban education and research, and a major corporation, the Partnership pioneered efforts in public-private investments in education. The Partnership’s vision is to improve the teaching and learning of mathematics and science throughout the State of Mississippi. It brings the latest results of learning research and state-of-the-art technologies into the classroom. As a part of its Science, Technology, Engineering, and Mathematics (STEM) outreach programs, (MSP) has been organizing and implementing professional development workshops for teachers for the past decades through external fundings from National Science Foundation, NASA, US and MS Department of Education and private Agencies. The major projects include Mississippi Academy for Science Teaching (Project MAST), Mathematics Advancement in Teaching through Professional Development (MAT-PD) and Institutional Change through faculty Advancement in Instruction and mentoring (IC FAIM).